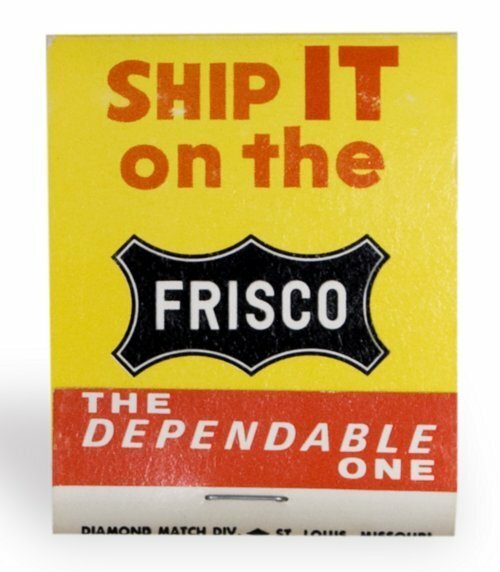 Cardboard matchbook advertising the "Frisco" line, formally known as the St. Louis-San Francisco Railway. Inside the cover is a map of the company's lines. Distributed by railroad's Sales Department to agents at depots (in this case, Lenexa, Kansas) to give to employees and customers.